The Bad Mother's Handbook is the story of a year in the lives of Charlotte, Karen and Nan, none of whom can quite believe how things have turned out. Why is it all so difficult? Why do the most ridiculous mistakes have the most disastrous consequences? When are you too old to throw up in a flowerbed after too much vodka? When are you too young to be a mother? Both hilarious and wise, it is a clear-eyed look at motherhood - and childhood - in its many guises, from the moment the condom breaks to the moment you file for divorce or, more optimistically, from the moment you hear your baby's first cry to the moment you realize that there are as many sorts of mother as there are children, and that love sometimes is the most important thing of all. 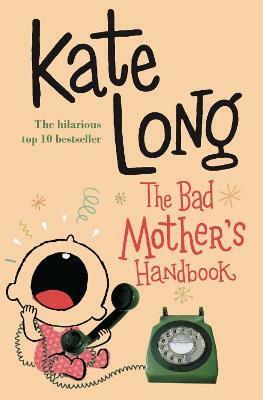 Kate Long is the author of several novels including The Bad Mother's Handbook and Swallowing Grandma, both top-ten bestsellers. She lives with her family in Shropshire.